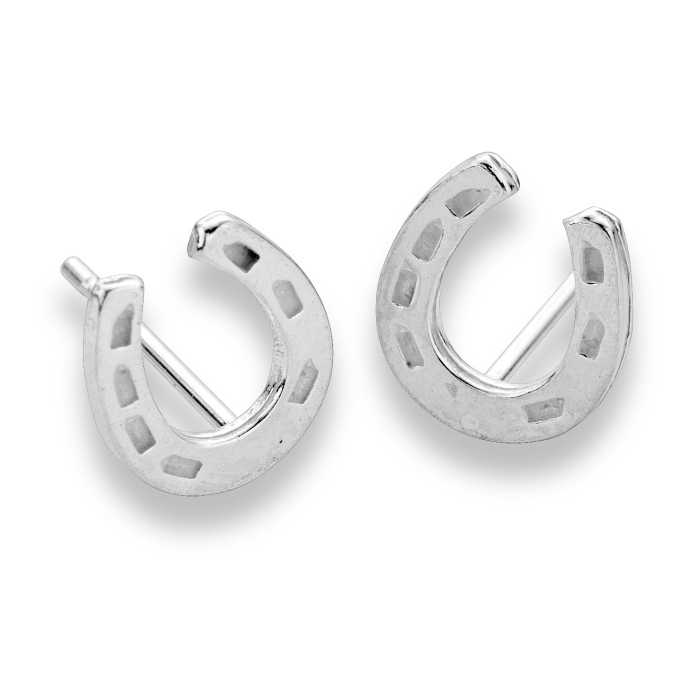 Classic sterling silver studs, each forged into a horseshoe would make an ideal gift for the horse enthusiast or to bring someone good luck! Treat yourself to these beautifully crafted earrings from our horse jewellery (jewelry) collection, which are sure to be noticed at any social occasion. Measuring 8mm high, they come presented in our black leatherette presentation box.